* Choice of second product from our selection for half-price (for the lower-priced product) with the code BODY50. 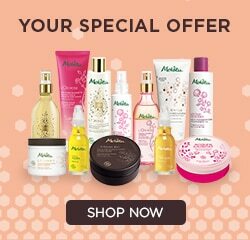 Special offer can only be used once per person on melvita.fr or in store with the code BODY50 until 16/04/2019 inclusive. Subject to stock availability. Offer cannot be combined with other current promotional offers. Product appearance may vary.